The American heiress Nancy Lancaster had long been settled in England with a reputation amongst those who knew her of having the ‘finest taste of anyone in the world’. In 1948, she bought the country’s best-known decorating firm from her friend Sibyl Colefax. Nancy Lancaster’s impressive social connections brought the company into a grand new era, and her transatlantic links incidentally enabled her to establish a working relationship with Sister Parish Design in New York. 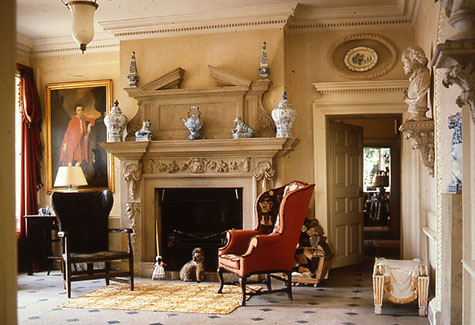 In 1954, Nancy Lancaster bought Haseley Court, a large country house in Oxfordshire. 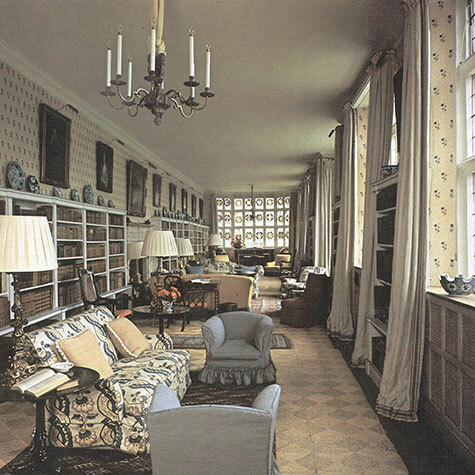 She and John Fowler worked closely together on its restoration and decoration, and the beautiful rooms they created there together epitomised the English country house style for which Colefax and Fowler became celebrated. In 1957, Nancy Lancaster sold her London house and took a 25-year lease on a set of rooms 'over the shop' at 39 Brook Street. 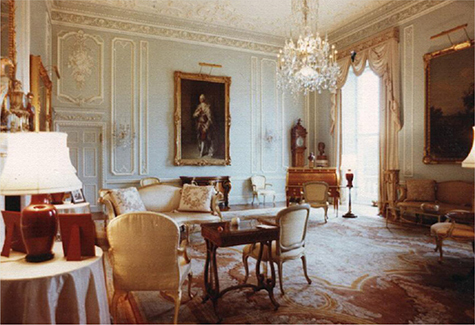 John Fowler persuaded her to paint the large drawing room a startling, glossy yellow. 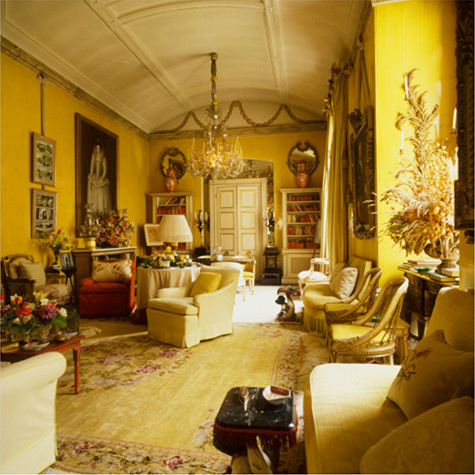 Original and innovative at the time, the Yellow Room proved to be a source of inspiration for many over the following years, becoming perhaps the best-known and most influential interior in the history of English interior decoration. 39 Brook Street and its decoration, including the Yellow Room, is now Grade II* listed. Nancy Lancaster and John Fowler’s business partnership lasted over 20 years and was tempestuous at times, prompting her aunt, Nancy Astor, to refer to the pair as ‘frankly the most unhappy unmarried couple I have ever met’. Their talents and tastes were complementary; combined, they made a truly formidable decorating duo. His association with Nancy Lancaster opened doors at the very highest level for Fowler, enabling him to work, for example, at Chequers, the official country residence of the Prime Minister, or on the Audience Room at Buckingham Palace, for Her Majesty the Queen.